No 1 Roofing & Building Supplies carry a wide range of the most popular skylight brands and are a leading supplier of skylights, solar skylights and skylight accessories for builders, roofers, owner builders and the general public. We are Sydney's Velux, Skydome, Skyspan, Regent, and Solatube supply specialists and carry a wide range of models on display at prices that you just won’t find anywhere else in Sydney. We also supply a great range of skylight blinds, flashings and accessories for all the popular brands and we won’t be beaten on service, quality or value for money. No1 Roofing and Building supplies is a leading supplier of all Velux products and are able to supply in a range of the most popular products such as the Fixed, and Flat Roof Skylights, Top Hinged Skylights, manual and electronic, as well as the Roof Windows, Skylight Blinds, Sun Tunnels and Velux Flashings that will suit most popular metal roofing profiles as well all the standard roof tiling profiles. With VELUX products there is a skylight or roof window to suit any room in your house, and all VELUX products are guaranteed to last, with a 10-year warranty on all skylights and roof windows, and a 3-year warranty on accessories, including electric controls. The VELUX VSE Electric Opening Skylight provides the convenience of remote control and built-in sensors to detect rain whilst providing the comfort and energy savings of fresh air and natural daylight. 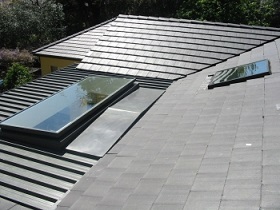 Where roof pitch is below 15° pitch, the skylight needs to be raised and will require a custom flashing. 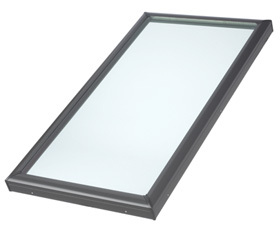 The VELUX VSS Solar Powered Skylight offers the comfort and energy savings of free daylight and fresh air. The VSS is the ultimate skylight solution, features an inbuilt solar panel that captures all the sunlight automatically recharging the concealed battery that powers the control system. Add the convenience of rain sensor and remote control and you have the perfect skylight. The VELUX VS Manually Opening Skylight provides the convenience of insect free ventilation, as it comes with a pre-installed insect screen, whilst providing the comfort and energy savings of fresh air and natural daylight. Where roof pitch is below 15° pitch, the skylight needs to be raised and will require a custom flashing. Further details available from your No.1 Roofing store. 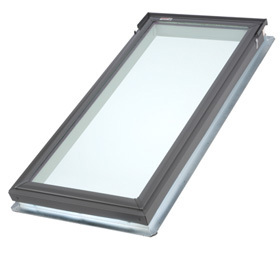 The VELUX FS Fixed Skylight provides an economical alternative for transforming common dark spaces such as hallways, stairwells, into areas that are more spacious and filled with natural daylight and sky views. 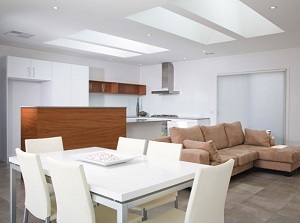 The VELUX VCS Solar Powered Flat Roof Skylight provides abundant daylight and controllable ventilation. Features a highly efficient control system that is battery-powered, and includes a solar panel that is recharged by capturing the available daylight. 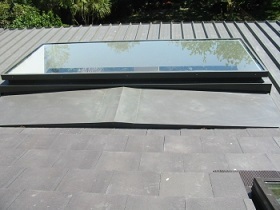 The VELUS VCS Flat roof skylight will require a custom flashing. Further details available from your No.1 Roofing store. The VELUX VCM is a manually opening flat roof skylight that is perfect for a cost effective solution when you want natural ventilation and abundant daylight. Features a pre-installed insect screen that will keep the flies and mosquitoes out in summer. The VELUS VCM Flat roof skylight will require a custom flashing. Further details available from your No.1 Roofing store. 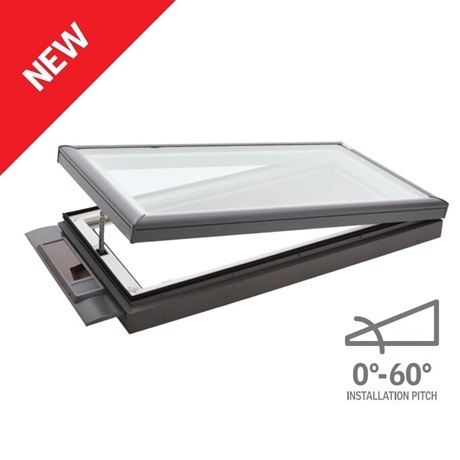 The VELUX FCM Flat Roof, glazed Skylight a natural daylight solution whilst blocking heat build-up and UV rays, has a new smoother profile that sits lower on the roof, and a maintenance free aluminium frame with condensation drain. The VELUS FCM Flat roof skylight will require a custom flashing. Further details available from your No.1 Roofing store. 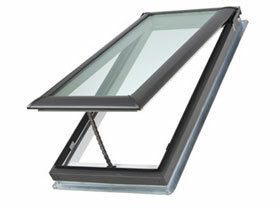 The VELUX GGL Roof Window, is a centre pivoting window that is openable and can be used for in-reach applications. Designed to be operated by hand, it allows the natural light and air into areas where ventilation is required, such as: lofts and attics. 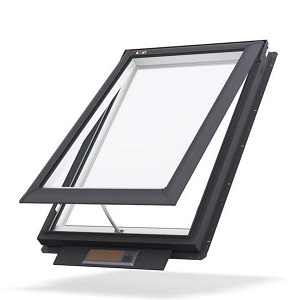 The design of the VELUX GGL Roof Window allows the window to rotate up to 180° so that it can the outer pane can be cleaned from inside the room, as well as ensuring maximum ventilation. The VELUX flashing kit must be purchased for complete capping, EDW flashing for profiled roofing material such as low profiled metal roofs or tiled roofs, EDL flashing for slate or shingle roofs. Further details available from your No.1 Roofing store. 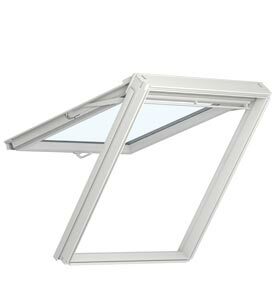 The VELUX GPL Dual Action Roof Window, is a dual action openable roof window can be opened as top-hung awning window or as a centre pivoting window. This roof window is not suitable for out-of-reach applications as it is designed to be operated by hand. Designed to be areas such as lofts and attics, it allows the natural light and air into areas where ventilation is required. 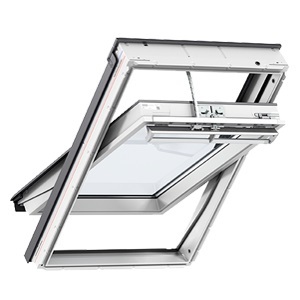 The design of the VELUX GPL Roof Window allows the window to rotate up to 180° so that it can the outer pane can be cleaned from inside the room, as well as ensuring maximum ventilation. 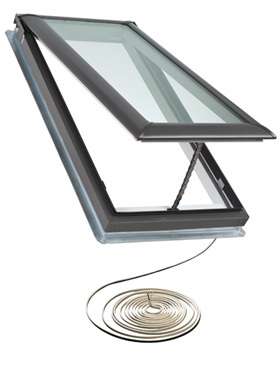 The VELUX TWR Rigid Sun Tunnel, has a low profile design and can provide up to 3 times more daylight than the Flexible Sun Tunnel. It’s ideal for ceiling to roof connections that do not exceed 6.0 metres in length. The TWR Sun Tunnel has a new improved design, Flexi Loc that reduces both the installation time and tube assembly. Ideal for flooding natural light into small areas such as walk-in robes, hallways, corridors or spaces where it’s not possible to install a traditional skylight. 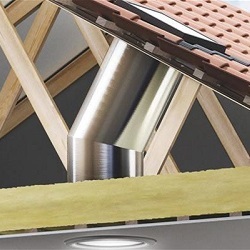 The VELUX TWR includes an integrated polyurethane flashing system for tiles or corrugated roof. Further details available from your No.1 Roofing store. The VELUX TWR Rigid Sun Tunnel, has a low profile design and can provide up to 3 times more daylight than the Flexible Sun Tunnel. It’s ideal for ceiling to roof connections that do not exceed 6.0 metres in length. The TWR Sun Tunnel has a new improved design, Flexi Loc that reduces both the installation time and tube assembly. 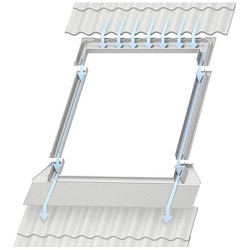 EDW FlashingThe VELUX EDW Flashing is designed for metal and tile roofs with roof pitches that are between 15°- 90°. 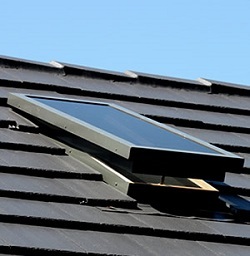 The EDW flashing side and head flashing pieces that form a gutter that directs the water off the roof and away from the roof window or skylight. The VELUX EDL Flashing is designed for shingle or slate roofs with roof pitches that are between 15°- 90°. 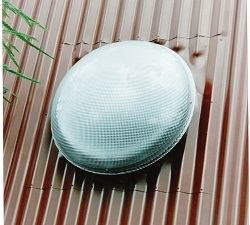 The EDW Soaker flashing is interwoven with a layer of the roofing material to ensure proper water drainage. 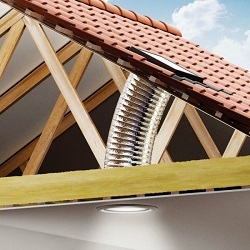 The VELUX EKW Combi Flashing is designed for metal and tile roofs with roof pitches that are between 15°- 90°. 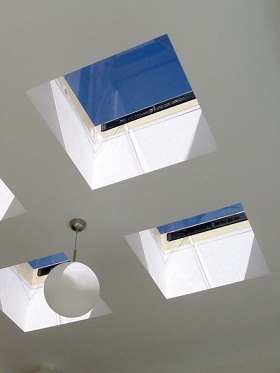 The EKW flashing allow for custom sized skylight solutions, as a modular system it allows for an easy installation of unlimited skylights that are installed close together. The VELUX Blockout Blinds reduce heat by approx. 40% and are a perfect solution that can block out light completely and is also great for heat retention in the cooler months. White in colour and come with a reflective backing material that reduces heat gain and loss. Available in a manual, solar powered or electrically controlled option. Do not fit VELUX skylights that are manufactured prior to March 2010. Further details available from your No.1 Roofing store. The VELUX Solar Blinds are white in colour and are an innovative design using a new radio frequency keypad that can be wall-mounted without the need for wiring of electrical tradesman to install. The Solar Blind does not fit VELUX skylights that are manufactured prior to March 2010. Further details available from your No.1 Roofing store. The VELUX Honeycomb Blinds reduce heat by approx. 60% and light by approx. 95%. They are a stylish and modern design, white in colour and are a perfect solution that can block out glare, while providing a near complete blockout from light. Available in a manual, solar powered option. The new VELUX Honeycomb blinds do not fit VELUX skylights that are manufactured prior to March 2010. Further details available from your No.1 Roofing store. 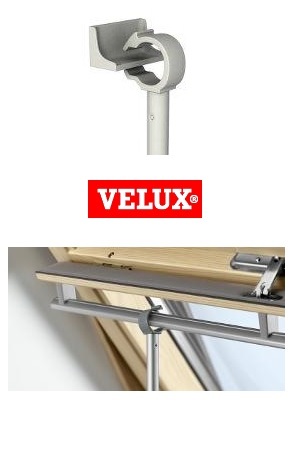 VELUX pole controls and adaptors are the perfect solution for hard-to-reach situations. Choose between a range of products that will let you operate your VELUX roof window and blind with ease. This adaptor is ideal for manually operated blinds that are out of reach. If you want to use a telescopic pole control to operate your blind, simply attach this adaptor to the aluminium handle bar on the blind. 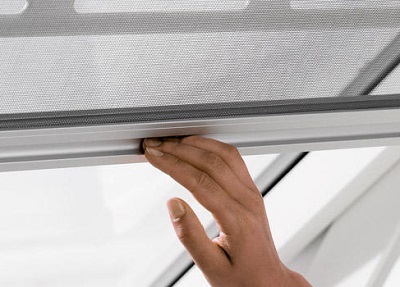 Fits all manually operated VELUX blinds - Check with Sales Consultant for your model. This telescopic pole control is ideal if you want to operate VELUX GGL/GGU centre pivot manual roof windows that are out of reach. It can also be used to operate manually operated VELUX blinds, but then we recommend that you attach an adaptor to each blind. Further details available from your No.1 Roofing store. The main purpose of the VELUX insect screen is to keep unwanted visitors such as flies and most insects at bay whilst allowing you to enjoy fresh air from an open roof widow. VELUX insect screens therefore cover the whole window area and are made of a durable transparent mesh that won't obstruct your view. The correct and proper installation of your VELUX skylight is essential. The installation instructions for all VELUX products are available by clicking on this link. For a free, no obligation quotation to install your VELUX skylight product send us your details by using our Contact Form. No1 Roofing and Building supplies is a leading supplier of all Skydome skylight products and are able to supply in a range of the most popular products such as the Traditional, and Glass Skylights, as well as the SkyTube 250 and 400 models. The SKYDOME Traditional Skydome has been designed for installation into almost any new or existing structure. Manufactured from high quality materials and guaranteed to be entirely weather proof and robust. Skydome skylights have been tested to Australian standards and provide UV blockout protection of 99%. Available in three style of glazing, you can choose a thickness from 3mm, 4.5mm and the 6mm, with a choice of glazing options such as the Opal, Clear and the Tint finishes. The SKYDOME Glass Skydome has been designed for installation into almost any new or existing structure. Using the latest glass technology, the glass skylights are cooler in summer and warmer in winter due the higher thermal qualities, these skydomes are manufactured from high quality materials and guaranteed to be entirely weather proof and robust. Glazing options include single or double glazed. The SKYDOME Skytube Intech 250 provides the perfect level of light in those areas of the house that need it the most, all year round. The Skytube Intech is an advanced tubular skylight that uses smart technology to capture the early morning, late afternoon, and low elevation winter sunlight. 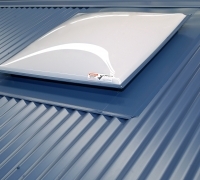 With its compact size it has designed for installation into smaller spaces where a traditional skylight size is unwarranted. Manufactured from high quality materials and guaranteed to be entirely weather proof and robust. The SKYDOME Skytube 400 provides natural light and ventilation for medium sized rooms. 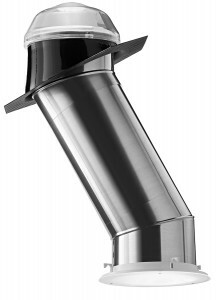 With a low profile roof dome the will transfer natural light using a highly reflective Flexishaft or Silvertube. Comes with a stylish ceiling diffuser that allows fresh air into the room via the ventilation control, positions included: closed, half vent, and full vent. No1 Roofing and Building supplies is a leading supplier of all Solatube® skylight products and are able to supply in a range of the most popular products such as the Solatube 160DS and 290DS. 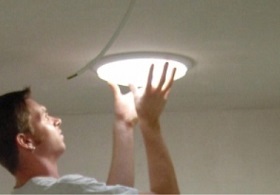 The Solatube Tubular 160DS & 290DS Skylights are highly effective and easy to install. The Solatube daylighting systems are available in two sizes and designed to suit any room that needs brightening up. The Solatube products use an innovative technology that nearly doubles the Effective Daylight Capture Surface (EDCS) compared to ordinary domes used by other tubular skylights. Solatube uses advanced technology to capture more sunlight. * EDCS (Effective Daylight Capture Surface) represents the surface area of the dome that collects and redirects sunlight. 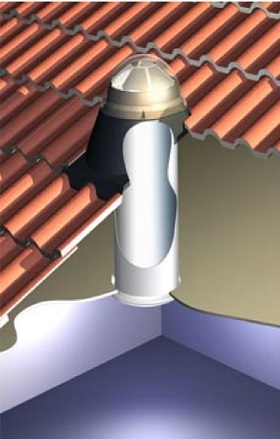 There is a Solatube® flashing available for nearly all types of roofs and pitches. 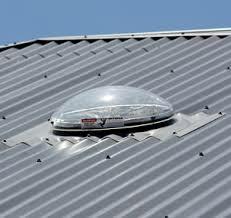 These flashing not only provide a complete leak proof protection, they also create an attractive appearance on any roof. The Solatube® flashing are fabricated as a single piece and are designed to provide the optimal position for the dome to capture daylight on slope roofs. No Pitch – for use on low pitch or no pitch roofs and must be used in conjunction with over flashing systems. No1 Roofing and Building supplies is a leading supplier of all SkySpan skylight products and are able to supply in a range of the most popular products such as the Corrimate Skylight, the SkyWindow Skylight, and the Tubelight Skylight Kits. Skyspan’s Corrimate™ Skylights are a press formed metal base skylight and are designed for easy installation, durability, economy and a low silhouette. The standard dome is manufactured from opal acrylic. Tint and clear domes are also available. The Corrimate™ is manufactured from 0.75mm Zincalume for long service life. The Skyspan Skywindow is available in two models, the opening model the GSW and the fixed model the GSL. The Skyspan Tubelight is the ultimate package when it comes to providing natural light into your home, can be supplied to install on any roof profile, and can be powder coated to compliment the range of Colorbond colours. 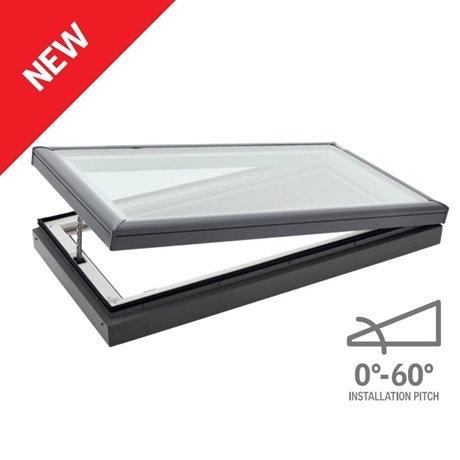 Can be used for small domestic skylights all the way through to large commercial applications, uses a highly reflective flexible shaft that carries the natural light directly to your room, and has the option for ventilation which helps to release unpleasant odours. No1 Roofing and Building supplies is a leading supplier of all Regent skylight products and are able to supply in a range of the most popular products such as the Colonial, fixed and opening Skylights, as well as the Tubelight Skylight Kits. The Regent Colonial Glass – opening Skylights are designed to suit most roofing profiles such as metal deck, corrugated iron, and tile roofs, and are constructed with a press-formed Zincalume base and solar laminated safety glass. The Regent Colonial Glass – fixed Skylights are designed to suit most roofing profiles such as metal deck, corrugated iron, and tile roofs, and are constructed with a press-formed Zincalume base and solar laminated safety glass. The Regent Tubelight, or Tubular Skylights are designed to suit smaller spaces such as the bathroom, hallways, toilets, closets and walk in robes. The Tubelight skylight kit comes in a range of sizes and contains a dome, base, shaft and diffuser. 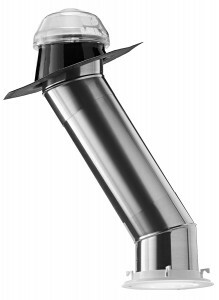 The Tubelight are designed to suit most roofing profiles such as metal deck, corrugated iron, and tile roofs, and can standard with press-formed Zincalume base.Tubelight are available in a number of options for ventilation, standard is non-vented which is suitable for air conditioned rooms. There are two options for the vented Tubelight, the standard model, and the BCA (Building Code of Australia) model. A mechanical ventilation option is also available. Click on a link below to download the product brochure.